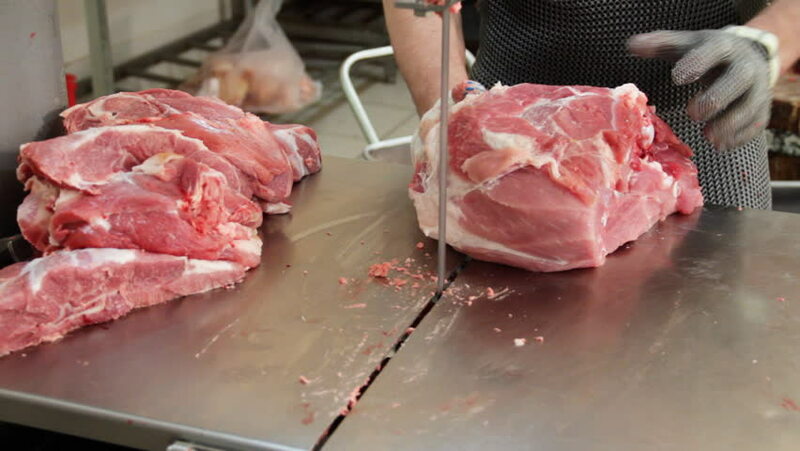 Meat cutting at factory line. 4k00:05Meat go off the conveyor. 4k00:12Worker is cutting bones off the meat and throwing them away.